This week a team of military specialists has completed the field testing phase of the 8x8 Infantry Fighting Vehicle (IFV) prototype military trials. The 8x8 IFV prototype is the outcome of a joint Slovak-Finish development project. This phase will be followed by the drafting of technical (proposed construction design adjustments) and organisational (vehicle-related documentation) measures, an expert analysis of results, and a report to be submitted to the SVK Cabinet. The field trials were carried out uninterruptedly between 19 March and 26 April 2018 by SVK Armed Forces personnel and specialists from the Military Technical and Testing Institute (VTSÚ) Záhorie. In the coming period, the data gathered from all tests will be evaluated and analysed to provide a comprehensive picture of the vehicleʼs operational and tactical specifications. The results will be published in a report, which will then, along with the proposed solution for the way ahead with the 8x8 IFV programme, be submitted by Minister of Defence Peter Gajdoš to the SVK Cabinet. There has been some public discussion of the Slovakian vehicle project, which Patria announced in a news release of 17 November 2017. The project has been subject to various questions and speculation. In this context, Patria would like to state the facts openly, as they are known to the company. The defence ministries of Slovakia and Finland agreed on a joint research and development programme in the spring of 2017. The ministries chose three companies as industrial partners: Konstrukta Defense a.s. (main supplier), Patria Land Systems Oy (platform) and EVPU a.s. (weapon system). 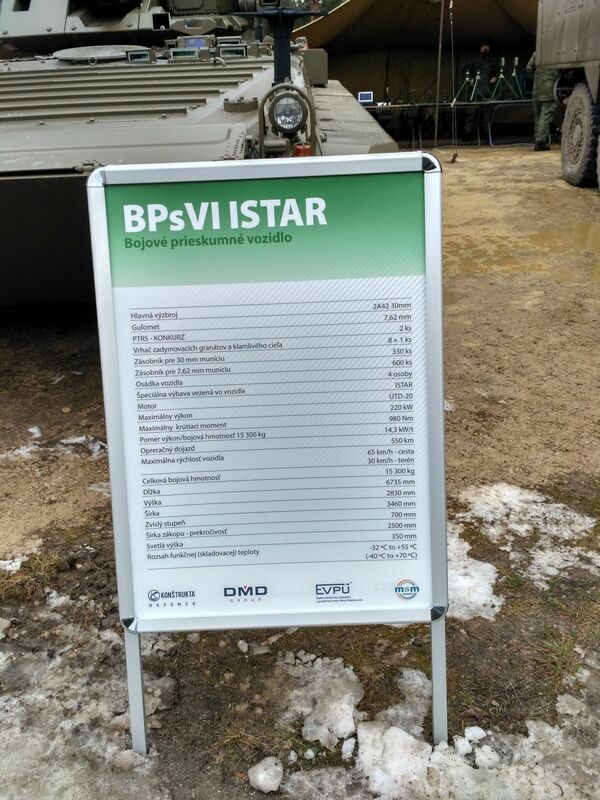 Patria supplied the new prototype version of AMVXP vehicle platform for the research and development programme. The programme includes test stages in both Slovakia and Finland. Based on the results of this development phase and after the tests, Slovakia plans to order 81 IFV vehicles as part of a military equipment modernisation project (2018–2024). The Finnish and Slovakian ministries have defined the technical requirements of a research and development programme for the entire vehicle system, which they will also develop and assess from their own perspectives. Based on these needs and requirements, Patria has submitted a prototype platform and EVPU a weapon system meeting the requirements. Patria, Konstrukta Defence and EVPU are industrial partners in this research and development programme. 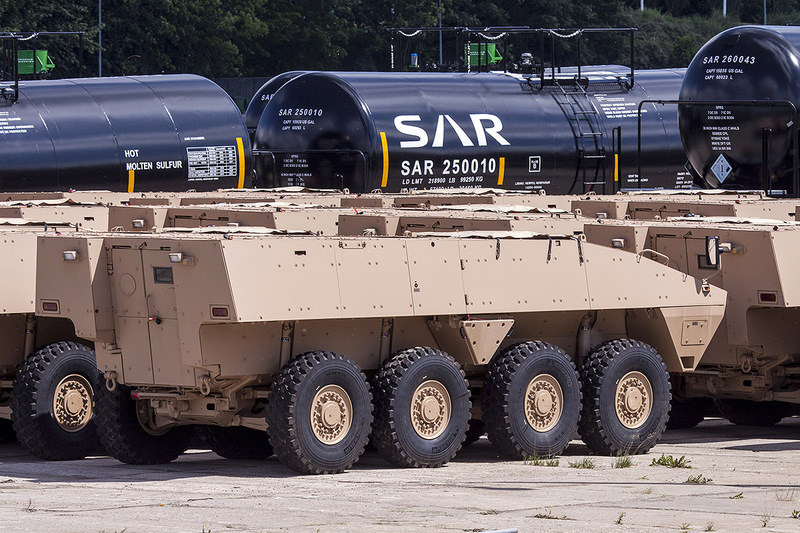 Konstrukta Defence is both the main supplier and the integrator, EVPU is the weapon system supplier, and Patria is the supplier of the vehicle platform. Patria has a cooperation agreement with Konstrukta Defence, but not with the other partners. The 8x8 vehicle project has been under discussion in Slovakia for several years now. As far as Patria is aware, the Ministry of Defence of the Slovak Republic contacted the Ministry of Defence of Finland about the project at the end of 2016. As a result of negotiations between countries, a Memorandum of understanding was signed in May 2017 and a Technical Arrangement Agreement was signed on 17 July 2017. Alongside the negotiations between the Ministries of Defence of Slovakia and Finland, a meeting was held between the Ministry of Defense of the Slovak Republic, Konstrukta Defence (which is 100% owned by the Ministry) and Patria in early 2017. The meeting included the discussion of a possible test phase, as well as the preliminary division of tasks between Patria and Konstrukta Defence, and the possibilities of production transfer by Patria in light of a possible serial production agreement. However, the Slovak ministry will only decide on a possible follow-up after the end of the research and development project. Patria has also been discussing the possibility of using EVPU’s weapon system in Patria's other sales and marketing projects. The Ministries of Defence of Finland and Slovakia have agreed on a research and development project in line with the EU procurement directive. The joint projects between the states are also in accordance with the directive and the countries’ procurement legislation. Patria has worked openly in cooperation with the Finnish and Slovak defence ministries. As far as Patria is aware, the Slovak administration has considered various procurement procedures, this being one of the possible alternatives. In addition, the Slovak Armed Forces have independently assessed the vehicles and their systems. 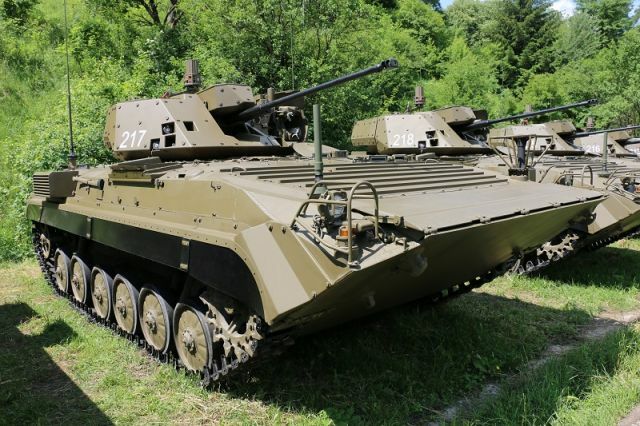 Slovakia has made these decisions, with regard to its overall solution and the research and development project for Patria's vehicle platforms, in accordance with its own analyses and needs. Public disclosures have also been made in Slovakia on both the research and development project and Slovakia's various vehicle needs. One may state, in general, that some 8% of the defence procurements within EU is done by an open competition. The procurement Directive has led to an initial increase of defence procurement in EU-wide competition, but that a significant share of expenditure, especially for high-value, strategic, complex defence systems, is still done outside the Directive. The vehicle system is still being tested in Slovakia. At the end of the tests, both Finland and Slovakia will report on the tests and the research and development project, and decide on possible follow-up measures. The vehicle system tests are still expected to end in April. It is not known how and when Slovakia will make a public statement on the research and development project, and decide on a possible follow-up. The Slovak Ministry of Defence (MoD) selected Finland’s Patria in early November without a tender to supply an AMV XP (extended payload) chassis to Nova Dubnica-based Konstrukta Defence, the prime contractor and overall systems integrator. The EUR1.2 billion (USD1.4 billion) contract foresees supplying Slovak ground forces with 81 platforms, including infantry fighting vehicle (IFV), armoured command control, communications, engineering, armoured recovery vehicle, and armoured ambulance variants. 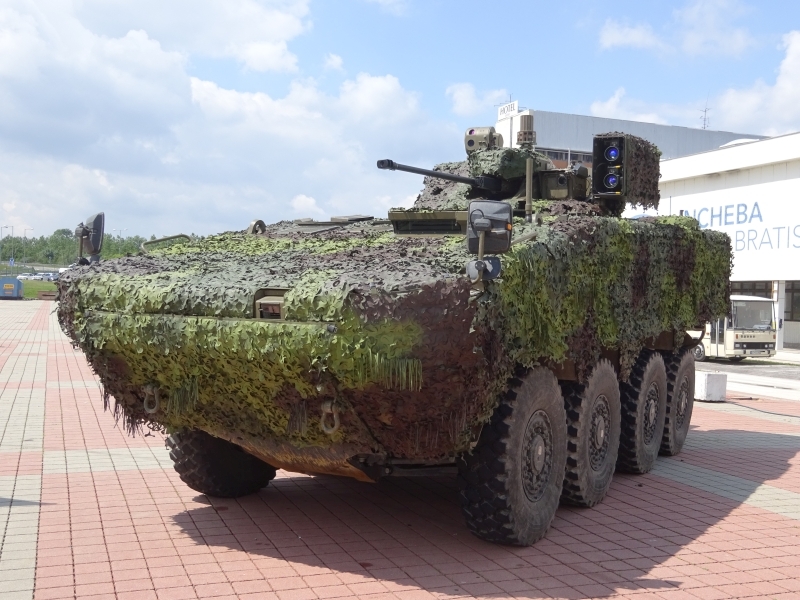 Slovak defence and security experts as well as Western diplomatic and industry sources are sceptical about the BOV 8x8. 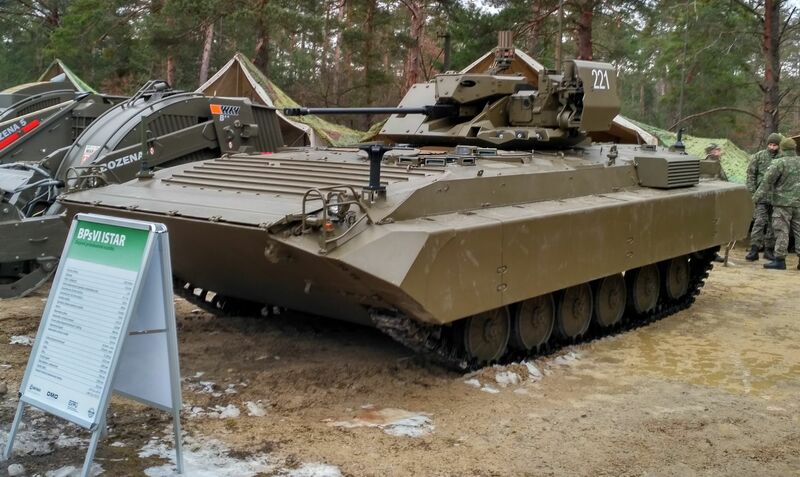 “Except for the Slovak Turra turret, we can only speak of cosmetic differences compared to the Patria AMV XP,” Jaroslav Nad, director of the Slovak Security Policy Institute, told media on 7 December. “The Turra unmanned turret relies on rolled steel of outdated design due to its weight, which places great strain on electromechanical components, and cannot be upgraded with modern composite ballistic protection. Furthermore, the AMV XP chassis has been dumbed down to meet Slovak MoD weight and cost specifications,” a Western diplomat present at the unveiling told Jane’s. Konstrukta Defence referred Jane’s to EVPU, which did not provide comment before the publication deadline. Patria would not comment about other systems integrated into an already developed vehicle with suppliers and systems selected by the Slovak and Finnish governments. The Finnish company does however point out that it is the first amphibious XP vehicle developed. The ground forces of the Slovak Armed Forces have taken delivery of 18 Bojove Prieskumne Vozidlo ISTAR (BPsVI) vehicles as of mid-2017, Jane’s learnt. The BPsVI is a modernised variant of the ground forces’ BPsV ‘Svatava’ tracked reconnaissance platform, which is based on the venerable BMP-1 infantry fighting vehicle (IFV) license-built by former Czechoslovak state factories, and optimised for the tracked intelligence, surveillance, target acquisition, and reconnaissance (ISTAR) role. The new vehicle has been jointly developed by EVPU, Konstrukta Defence, DMD Group, and MSM Group and has an increased combat weight of 15.29 tonnes. It retains the original design’s 6.73 m length but has an increased width of 3.46 m to accommodate newly installed floatation devices, which preserve its amphibious capability in lieu of the additional weight. The original UTD-20 water-cooled diesel engine has been retained, with this providing an output of 220 kW and maximum torque of 980 Nm to enable the vehicle to traverse obstacles that are up to 0.7 m high and 2.5 m wide. Operating range remains unchanged, with a claimed 550 km using fuel from its main supply. The BPsVI is equipped with the indigenously developed Turra 30 remote weapons turret, which is armed with the 30 mm calibre 2A42 automatic cannon manufactured locally by ZTS Special, a 7.62 mm calibre PKTM machine gun, and two ready-for-launch 9M113 Konkurs anti-tank guided missiles (ATGMs). 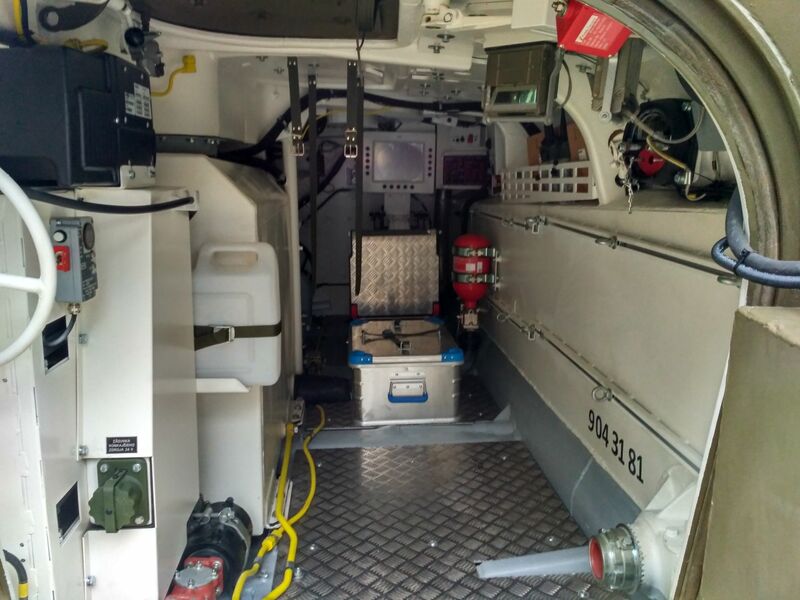 The turret is also fitted with the System Detekcie a Indikacie Oziarenia (SDIO) laser warning system, which features a sensor head produced by Elbit Systems’ subsidiary ELOP . Other mission-specific equipment carried by the BPsIV includes the FLIR Ranger R20SS surveillance radar, Kestrel-5500 weather meter, Micro Falcon unmanned aerial vehicle (UAV), Schiebel’s Miniature Mine Detector (MIMID) system, and an unattended ground sensor suite. US firm Harris Corporation has also supplied a communications suite. Zuletzt geändert von theoderich am Mo 8. Okt 2018, 18:19, insgesamt 16-mal geändert. If the 8x8 vehicle development programme is successfully complete along with successful military trials, Slovakia will have an infantry fighting vehicle (IFV) of its own production. “It will be manufactured by Slovak companies, we will be competitive, and we will be able to sell it. If we succeed in doing it, I will be a proud Slovakian, because after 25 years we will finally have our own vehicle,” said SVK Minister of Defence Peter Gajdoš, speaking “In Politics”, a political debate on the TA3 TV news channel. Head of the MOD rejects any considerations about the non-transparency of this process. “Anyone who has such information should come forward and inform law enforcement agencies, but we absolutely reject it,” emphasised Minister Gajdoš. Produziert in der Slowakei - entwickelt in Finnland! Das einzige rein slowakische System an diesem Fahrzeug ist die Waffenstation TURRA 30 von EVPÚ. Konstrukta Defence übernimmt nur die Fertigung der Fahrzeuge und die Systemintegration. Finnish state-controlled Patria Group Oy has secured an export license to sell an unspecified number of 8x8 AMV armored vehicles to the United Arab Emirates (UAE). Patria, which described the deal as significant, said financial details around the contract would remain classified. The delivery is expected to be within the range of 40 to 90 units, if options for an additional 50 units on the suspected core 40-unit order are exercised. The contract price agreed with the UAE excludes weapons systems. A large part of the order will be produced under license by Rosomak SA, Patria's cooperation partner in Poland that delivers hulls for new Patria AMV contracts. Some 50 percent of all Patria 8x8 AMVs are manufactured in Poland. 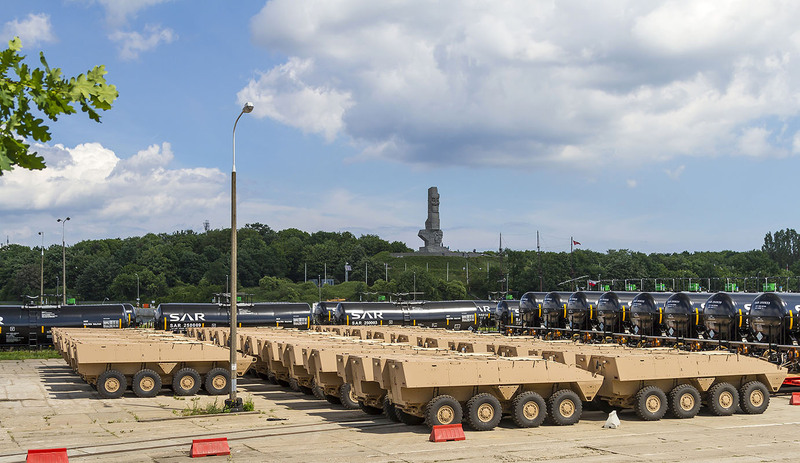 By taking advantage of Poland's lower labor costs, Patria is able to optimize production-related savings and pitch more competitive bids for its armored vehicle offerings. It is believed the 8x8 AMVs earmarked for delivery to the UAE will be equipped with remote weapon stations armed with 12.7mm machine guns. Units may also be equipped with 40mm automatic grenade launchers. Zuletzt geändert von theoderich am Mo 28. Mai 2018, 19:41, insgesamt 1-mal geändert. Die Waffenstation TURRA 30 auf dem Patria AMV ist mit einem stabilisierten Kommandantensichtsystem ELOP COAPS und einem TDS ausgestattet. SVK Minister of Defence Peter Gajdoš today (29 May) handed over 21 upgraded tracked armoured fighting vehicles to soldiers for operational use during a handover ceremony at the Specialist Testing Branch Lieskovec, a facility of Dubnica nad Váhom-based Konštrukta Defence. The vehicles, configured in two variants, are destined for ISTAR and mechanised units. During the ceremony, Minister Gajdoš made a symbolic handover of the vehicles to Chief of Defence Lt Gen Daniel Zmeko. Of the 21 upgraded tracked armoured fighting vehicles, 11 vehicles went to ISTAR Battalion Prešov and 10 to mechanised units. A total of 35 tracked armoured fighting vehicles will be modernized as part of this vehicle uplift project. Nur zehn Schützenpanzer mit ELOP COAPS. Zuletzt geändert von theoderich am Do 12. Jul 2018, 10:43, insgesamt 1-mal geändert. Ozbrojené sily SR jednoznačne a dlhodobo požadujú, aby nové bojové obrnené vozidlo 8x8, ktoré bude v budúcnosti zavedené do výzbroje, malo spôsobilosť plávať. Ide o jednu zo základných a jednoznačných operačných požiadaviek vojakov, na ktorej trvajú od začiatku diskusie obstarania nových vojenských transportérov, čiže už od roku 2013. V projekte vtedy požadovali plávanie v minimálnej rýchlosti 8 km/h. Ak exminister obrany Martin Glváč tvrdí, že to tak nie je, tak účelovo klame a asi mu treba pripomenúť, že už ním vybrané vozidlo muselo plávať podľa požiadaviek a tiež asi zabudol, ako prihliadal na potreby vojakov on. The armed forces of the SR clearly and in the long term demand that the new 8x8 armored vehicle, which will be introduced into the armament in the future, should have the ability to swim. 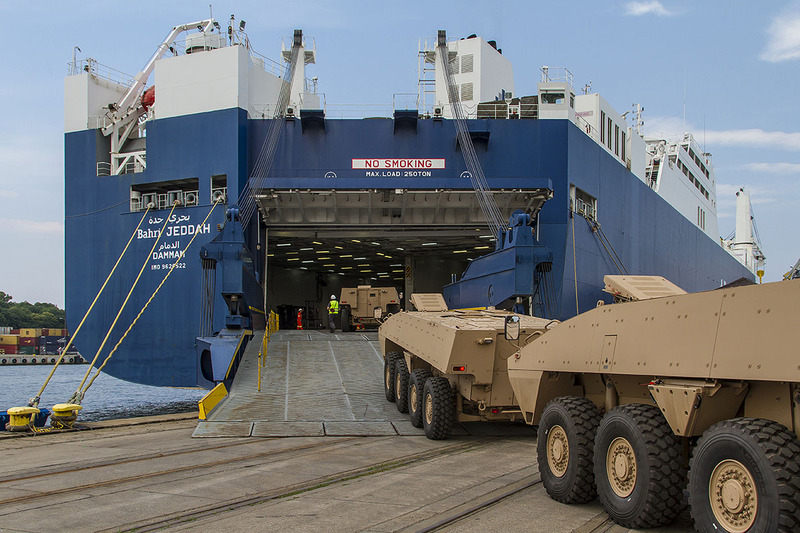 This is one of the basic and unambiguous operational requirements of the soldiers, which have been upheld since the beginning of the discussion of procurement of new military transporters, that is, since 2013. In the project they demanded swimming at a minimum speed of 8 km/h. If Defence Minister Martin Glváč claims that it is not, he deliberately lies and probably remembers that the already selected vehicle had to swim according to the requirements and also forgot to take into account the needs of the soldiers. On the procurement of the 8x8 platforms, Minister Gajdoš reminded that the process is as transparent as possible and that Milan Krajniak MP has changed his position on the project following the outcome of the recent parliamentary inspection of the SVK MOD. “We are still talking about the vehicle’s development. The procurement process of serial production cannot be launched until and unless the Cabinet has decided to do so. It also continuously and constantly holds true that our effort is to get our domestic defence industry involved in this process as much as possible, because we want to give jobs to our citizens and Slovak companies and have the most accessible solution even in support of domestic crisis management,” he added. Tests and verification trials of 4x4 combat armoured vehicles/multipurpose tactical vehicles have continued at the Military Technical and Testing Institute (VTSÚ) Záhorie this week, to verify the technical specifications of all 4x4 platforms on trial. The results of the tests will then form an analytical section of the document which will, upon its submission, be pending approval by the SVK Cabinet. A total of 8 vehicles will be trialled, including COBRA 2, EJDER YALCIN, PATRIOT and EAGLE. These four vehicles have made it into the second round of the negotiations. 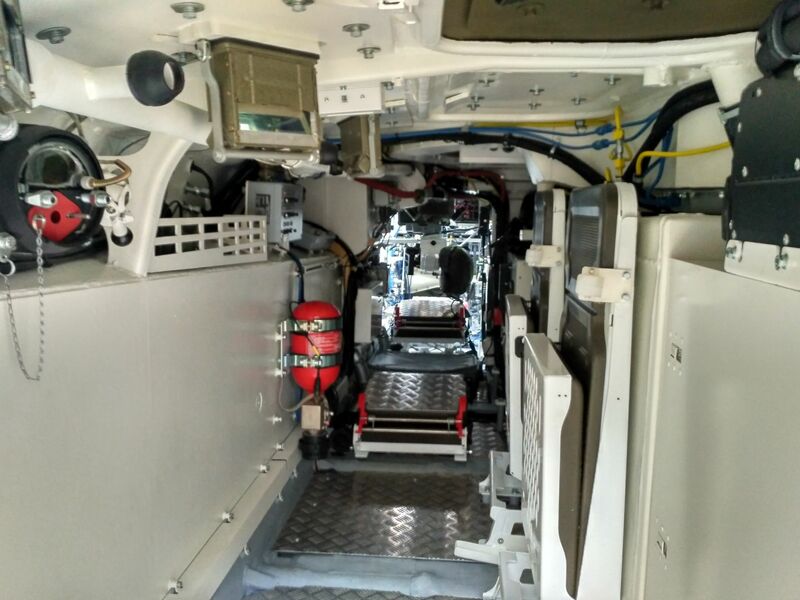 Another 4 vehicles that were on display as brand new or upgraded platforms at IDEB 2018 – GERLACH, PERUN, ALIGATOR MASTER 2 and SHERPA Light APC – have joined the trialling process. The parameters of these vehicles will be measured as well. The MOD seeks to gain a comprehensive picture of verified technical data on as many 4x4 platforms of potential contractors as possible.